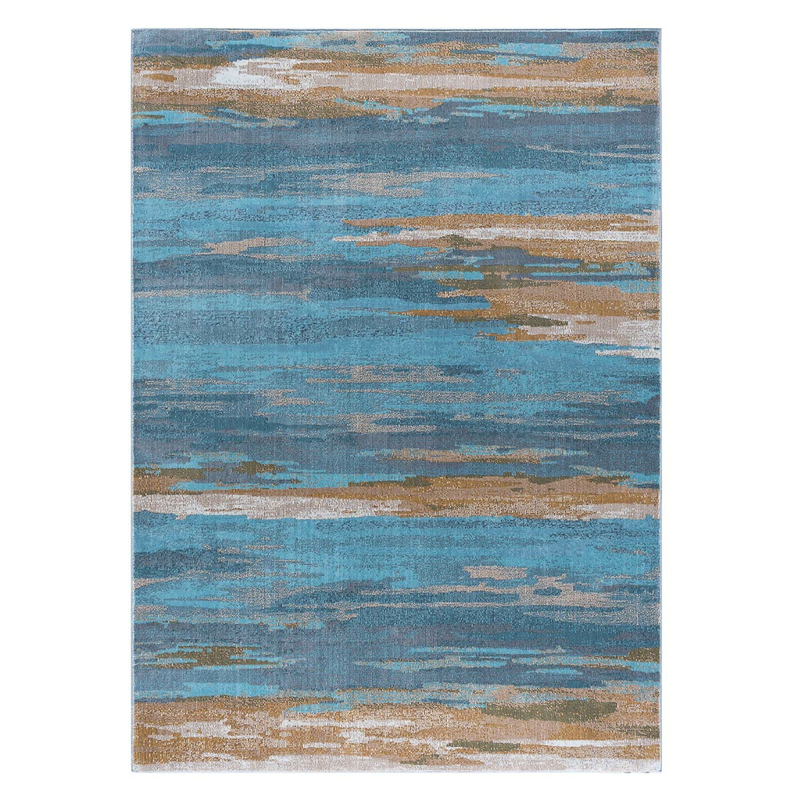 With contemporary ombre stripes in blue, aqua, gold and beige with a watercolor effect, the Abstract Sea Rug - 5 x 7 is the perfect addition to your coastal family room. 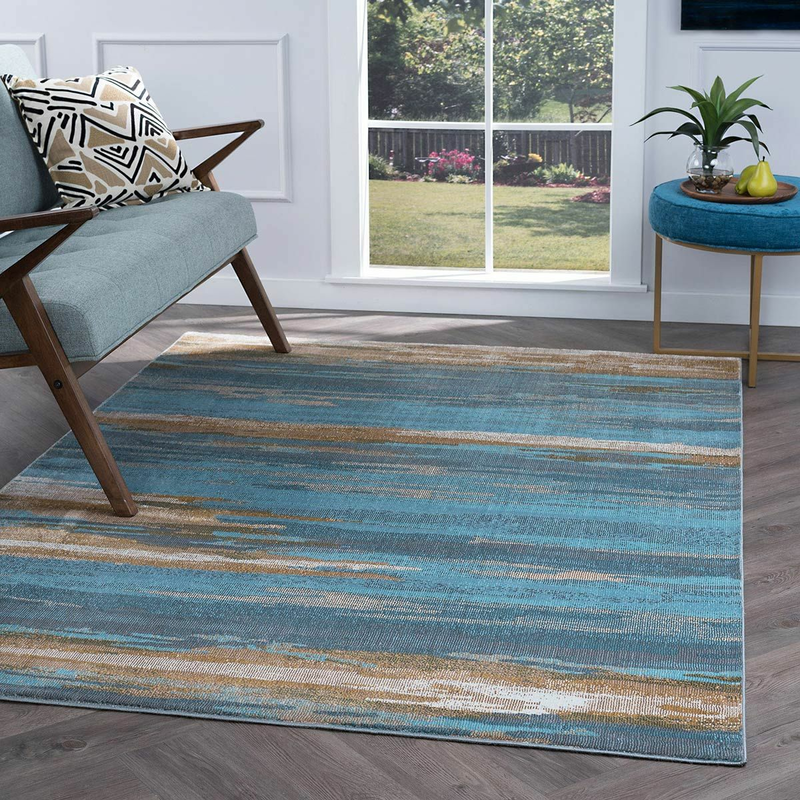 These nautical area rugs ship from the manufacturer. Allow 1 week.